Seeking Multiplication resources? You have found the right place! Here at TeacherTube we have been offering educational videos, multiplication worksheets, math games and many other resources for the last 8 years and have helped millions of students better understand math. We have also assisted teachers in better connecting with their students via math games and alternative methods of communication. We offer content for an incredibly wide range of ages and it is likely our adult visitors may learn something along the way using our multiplication videos and resources. Try skip counting utilizing items around the home to practice multiplication table. Begin skipping a few steps when you walk upstairs with your student and count the quantity of stairs by twos and threes. Also, challenge your kid to add up the fingers of the family members sitting at your table during supper. Then, check whether she can count fingers by fives and tens! This is an incredible approach to energize math practice without needing to use math worksheets. 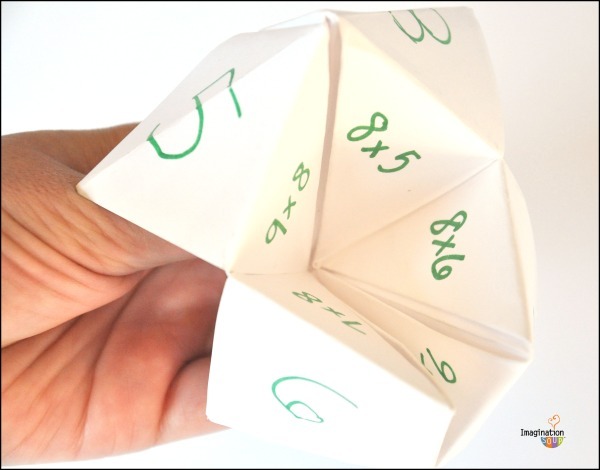 Attempt to give your child multiplication problems in the form of games or riddles. Again, this can be a fun way for kids to have a deeper understanding of multiplication without using multiplication worksheets. Have your student practice multiplication when you're reviewing your calendar. Ask, "If there are three weeks until summer break, and seven days in every week, how many days left until summer break?" Remember to let your kid work through math issues with fun multiplication worksheets. Utilizing multiplication worksheets lets your student practice the subject at his own pace. 1. Multiply the numbers as if they were whole numbers. - Line up the numbers on the right – don’t be concerned with aligning the decimal points. - Begin on the right; multiply each digit in the top number by each digit in the bottom number, just as with whole numbers. - Add the numbers. 2. Place the decimal point in the answer by beginning at the right and moving a number of places equivalent to the total of the decimal places in both numbers multiplied. Simply add up how many numbers are after the decimal point in both numbers you are multiplying, then the answer ought to have the same amount of numbers after its decimal point.